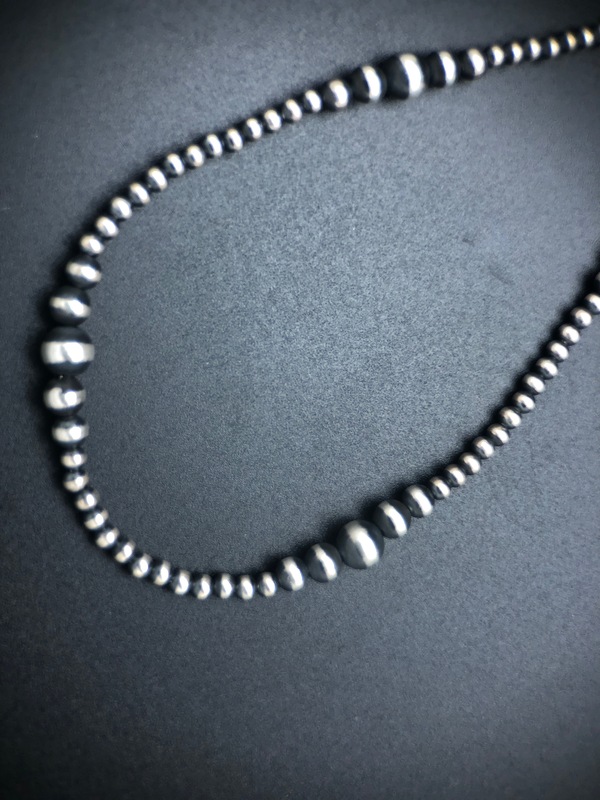 The Navajo Pearls are made of sterling silver forming a sphere, this can leave a seam or ridge. The beads are then filed, sanded and buffed to create a bead that is extremely smooth. They have been antiqued with a satin finish. 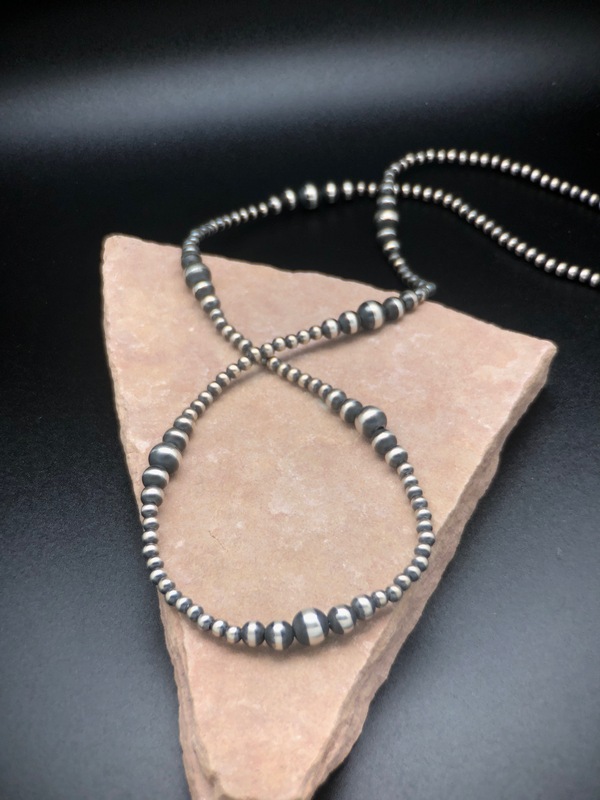 These beads are made of sterling silver and strung on a wire by Navajo Marilyn Platero. This necklace is approximately 36″ in length and is made 4 different sizes . This not only creates a great look but has a very comfortable feel. 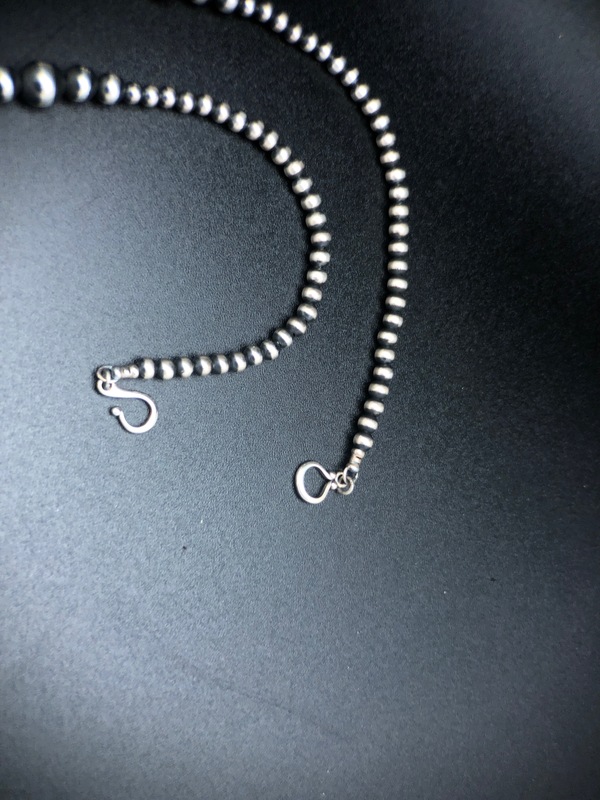 Each necklace is then finished off with a hook and eye clasp. They are terrific as a chain for all your pendants while being the perfect necklace for casual or evening. Matching bracelets are available in a variety of lengths. Please visit our earring page for complementing pieces. 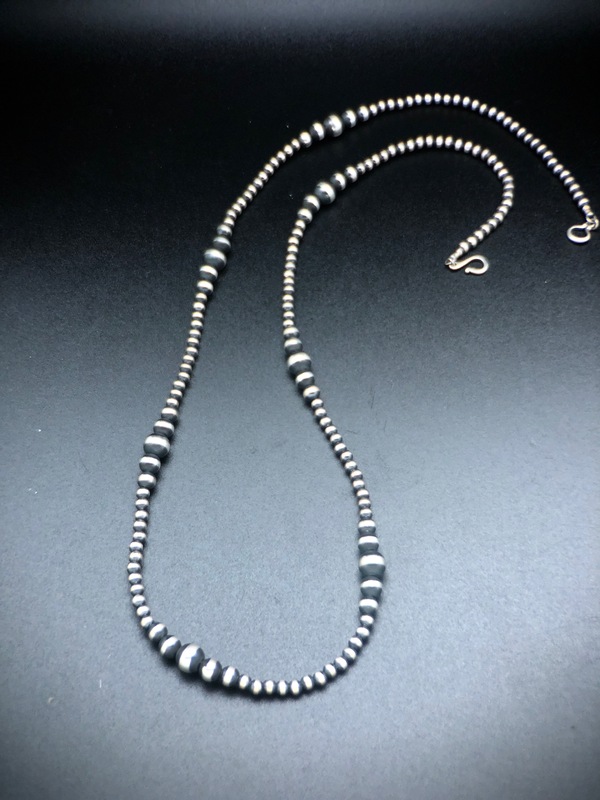 Share the post "BC 1124 AUTHENTIC STERLING SILVER BEAD NECKLACE"